When’s the last time you visited a zoo? Can you even remember? I had to really think when Tom asked me this question last weekend before we headed out to the Zoo de la Flèche, an easy drive from Angers. I think my last zoo trip was in 7th grade when our whole class went to the Bronx Zoo. Yeah, it had been a long time… and I had no idea what to expect. Luckily, the Zoo de la Flèche was an excellent way to spend the morning. 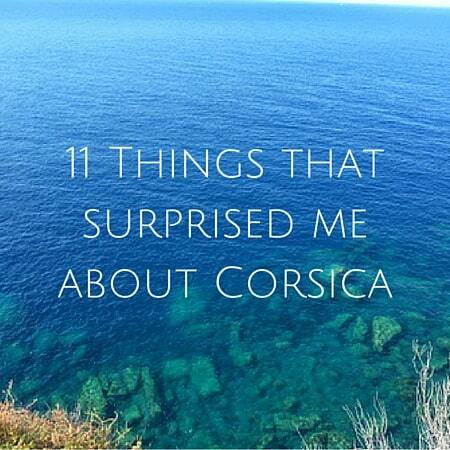 No crowds and so much to see! The Vallée du Loir (not to be confused with the Loire) is not far from where we live, but I’m ashamed to say we’d never explored the area. Tom had visited the Zoo de la Flèche as a kid, but in the years since, we just hadn’t made it east of Angers except on the highway to head to Paris. That’s the problem with France. There are too many places to discover! I’m happy to report that a couple of weekends ago, we finally made it out to the Vallée du Loir. Our long weekend kicked off with a trip to the zoo! You might be familiar with the Zoo de la Flèche from the French television program Une Saison au Zoo where you get a behind-the-scenes look at what goes into caring for the animals and maintaining the zoo. Catch it on YouTube here. We arrived at the zoo around 11 a.m. on a weekday and it felt like we had the place to ourselves. If you can swing it, visit during the week and outside of school vacation periods to beat the crowds. 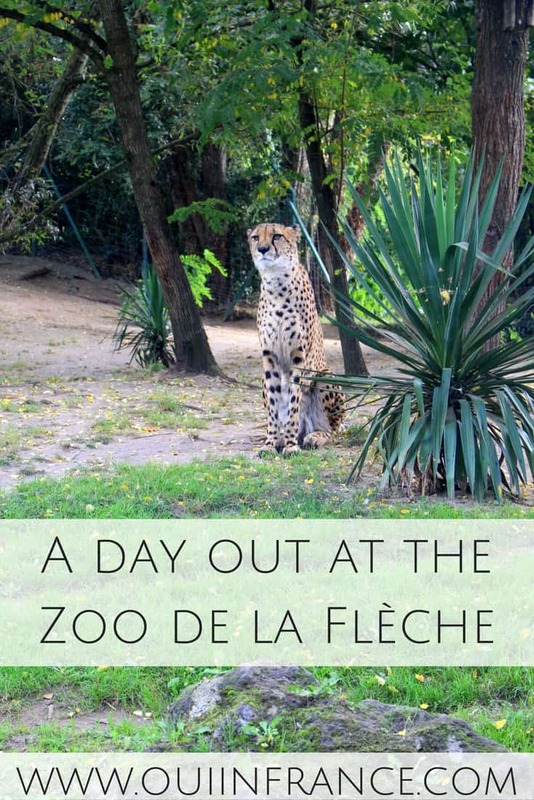 Welcoming over 400,000 visitors each year, the Zoo de la Flèche is well worth the trip for both kids and adults. The 44-acre zoo opened in 1946 and was the first private zoo to open in France. 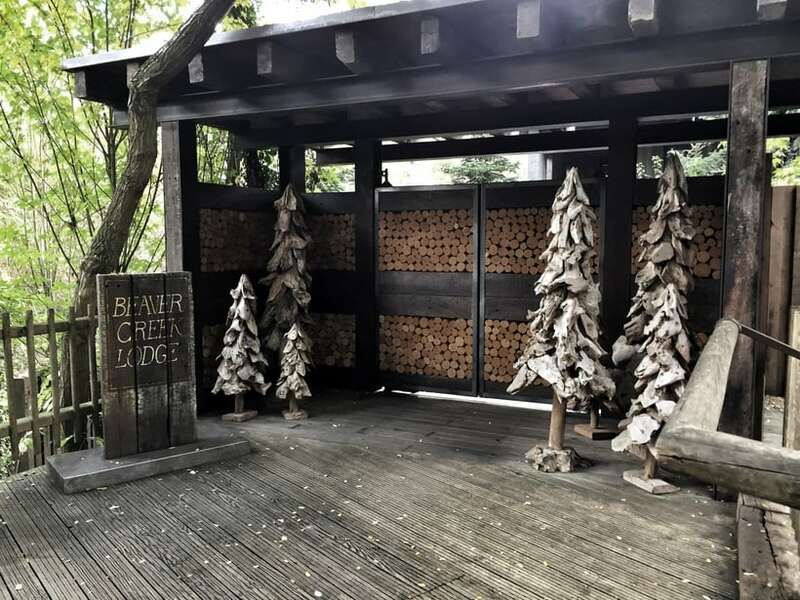 Since then, it has expanded and rebranded with the focus always on the animals’ well-being while creating an educational and fun experience for visitors. Right away, you’ll notice it’s built in a way that makes you feel like you’re right there with the animals and not at a zoo at all. 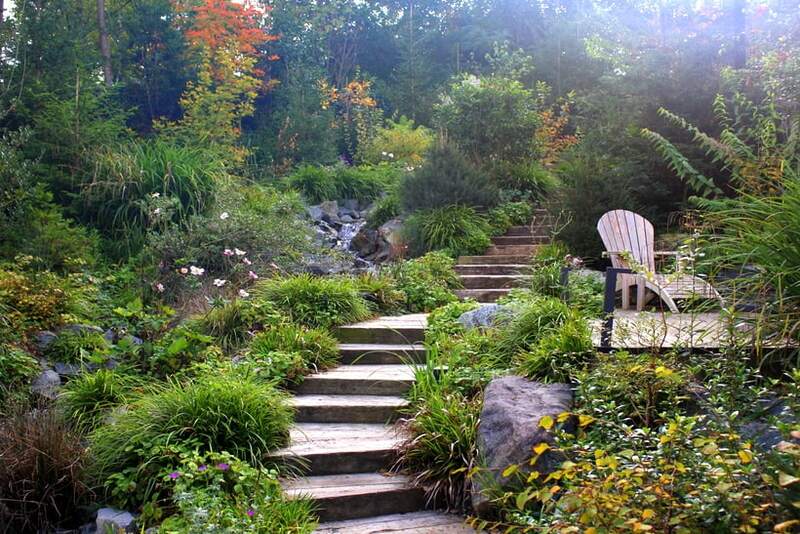 You’ll feel like you’re walking through a forest and observing the animals in their natural habitats. Much of the natural-feeling ambience is thanks to the park’s 800 or so plant species that line the path through the zoo and make up the animals’ habitats. Something we learned while there is that the zoo puts a strong focus on research, preservation of species, and biodiversity. They’ve been a part of the European Endangered Species Program since 1989. One of their main projects include the protection of species in their natural habitats. In Congo, poaching is a concern for the bonobo and zoo personnel support a sanctuary aimed at protecting the orphaned bonobos until they can be released back into the wilderness. Zoo personnel are also leaders in a specialized care technique that allows them to treat animals in the least invasive way possible. 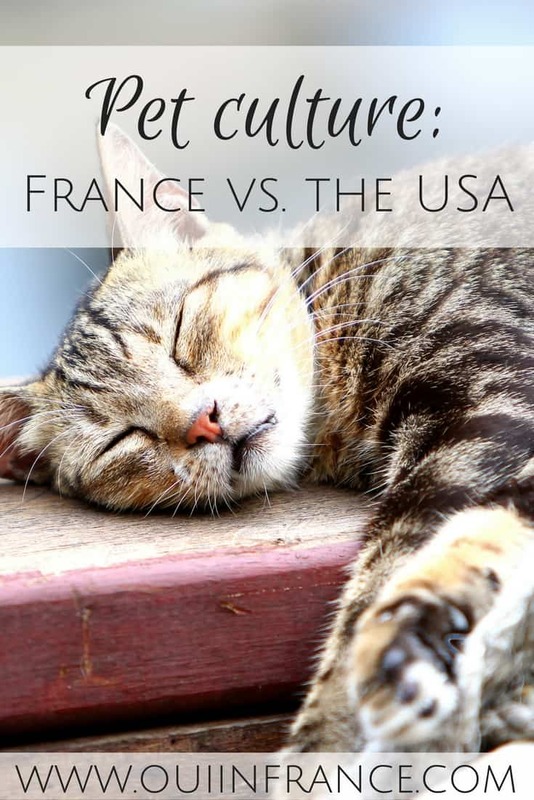 It’s referred to as “medical training” in French and involves care without the use of tranquilizers and sedation whenever possible. This in turn reduces the animals’ stress levels while giving them medication and providing other hands-on care. I’ve been an animal lover for as long as I can remember. What a delight it was to see all kinds of species I’d only ever seen on TV and in magazines. 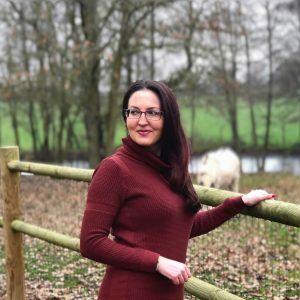 Home to 1,500 animals (over 160 species), the Zoo de la Flèche is the birthing place of about 100 animals each year and over 100 employees are dedicated to caring for the animals and their habitats. The lemur habitat doesn’t have fences or cages and the lemurs are free to move around the enclosure however they please. They can even walk right up to visitors! While we didn’t have any lemurs come right up to us, we did see them playing around in easy view from the path. They seem to be real jokers and we were thoroughly amused watching them go about their business. The ring-tailed lemurs you see below are an endangered species and are native to the island of Madagascar. The word lemur in Malagasy, Madagascar’s native language, means sun worshiper. 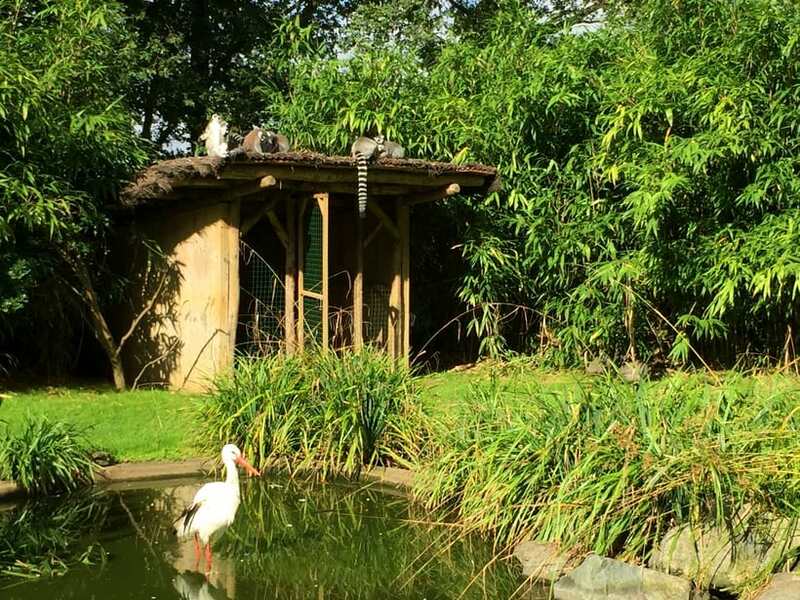 It’s no surprise our lemur friends were soaking up the rays on their roof in the photo below. 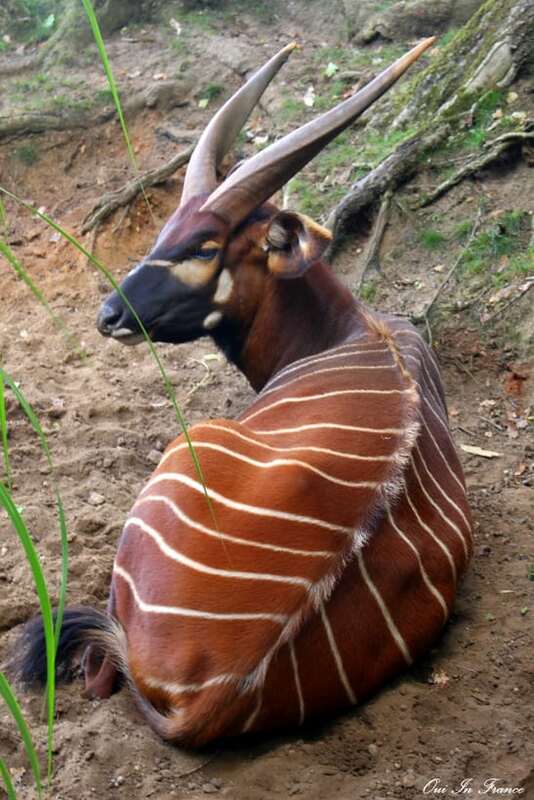 The beautiful creature below is called a bongo, an African forest antelope species. He was napping when we quietly walked past. The fur on their neck, chest, and paws is darker than the rest of their body. This sweet young giraffe was born at the zoo during the summer of 2016. His mom is just out of frame. 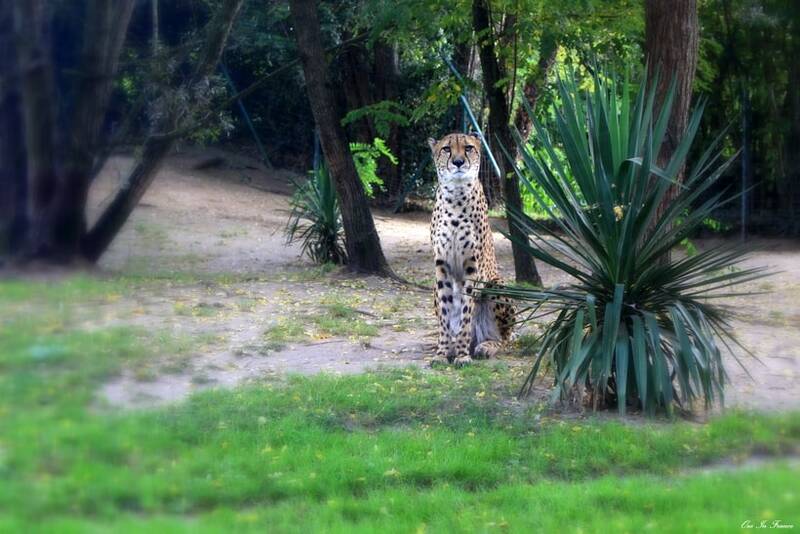 Cheetahs are carnivorous mammals that weigh between 40-65 kg. They can run up to 68 mph. The male below seemed to be posing for the camera. 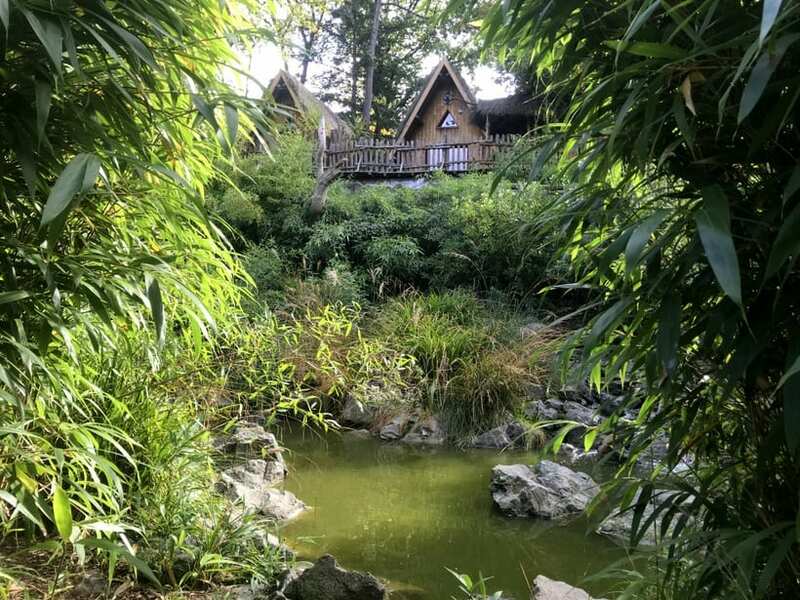 For those of you looking for a unique experience, the Zoo de la Flèche is home to the wow-worthy Safari Lodge. If you’ve ever dreamed of sleeping alongside the animals — well, safely on the other side of the glass — these luxury accommodations need to be on your bucket list. The stunning hotel room sanctuaries are unfortunately booked for the next couple of years. From what we saw, a room in one of the lodges is well worth the wait. If you spend the night at the Safari Lodge, you’ll be treated to gorgeous furnishings, giant floor-to-ceiling windows that make you feel like you’re right there with the animals, a private outdoor area, and more. The Safari Lodge we toured was the Beaver Creek Lodge. There’s also the Arctic Lodge with polar bears and the Yukon Lodge with grizzly bears, just to name two. Behind the gate that leads to your private enclave was an outdoor jacuzzi and fireplace, lounge area, beautiful landscaping — and that was just the outdoor area! Inside were 2 bedrooms, a very inviting tub, and furnishings that left even the hard-to-impress Tom saying, “WOW!” The allure of the Safari Lodge is that the accommodations are built right into the animals’ enclosure. So you might be soaking in your tub and waving to a few friendly beavers just feet away on the other side of the floor-to-ceiling window. The whole area behind the gate is completely private and 100% yours for the night, so no need to worry about running into other guests or curious tourists. 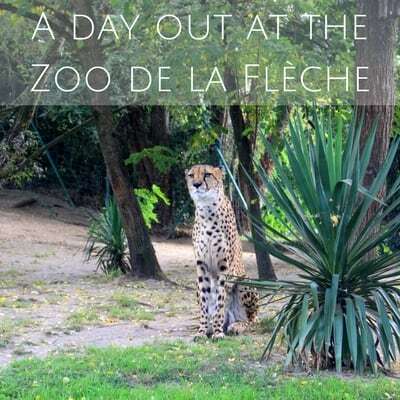 If you’re looking to go beyond a regular visit, the Zoo de la Flèche has an educational program called Keeper For a Day. Both kids and adults can learn firsthand what goes into caring for the animals by shadowing a zoo employee for a half day. The staff makes the learning experience fun and all “keepers” get hands-on experience feeding, cleaning, and caring for the animals. You can choose to work with primates, birds, carnivores, herbivores, or reptiles. 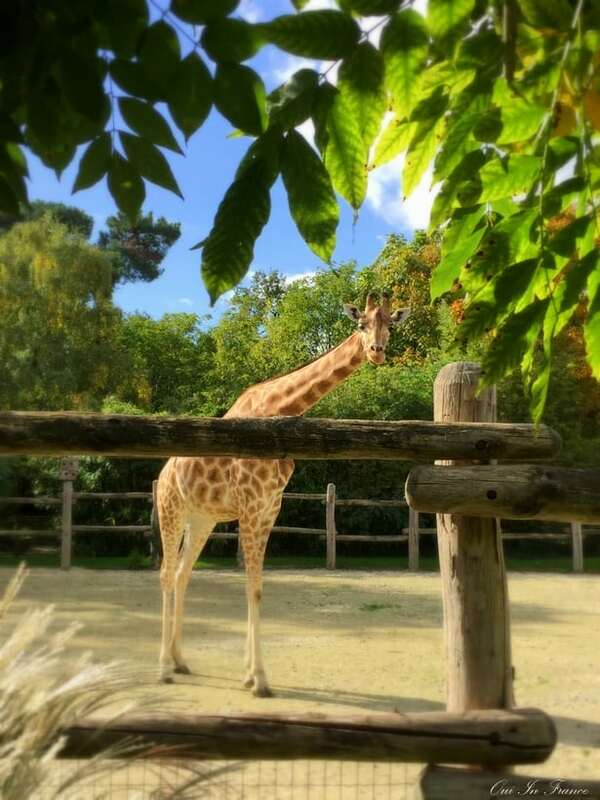 Have you visited the Zoo de la Flèche? I highly recommend it if you’re in the area! Visit the zoo’s website here. Thank you to the Vallée du Loir Tourism Office for covering our admission fee to the zoo. All opinions are always my own. Beautiful zoo. The ability to stay there is something that I had heard about only being available in Africa as part of a safari. 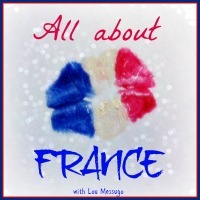 To know that it is possible in France is very cool. Since I visit near here quite often will add to my list of things to do next trip. Thank you for sharing this. Love your blog!! Thanks for reading, Diane! I understand your point of view and generally feel the same way, but when zoos are doing good in the world and the animals are well take care of, I see no problem with it. We had a great visit. 😉 Have a great rest of your week! Very nice!! 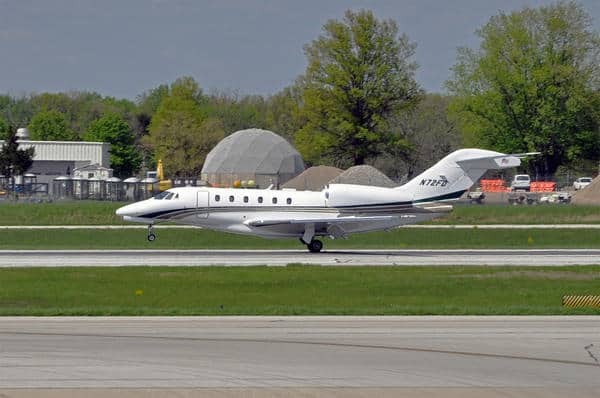 Are Leo and Jessica your kids? Thanks for reading! I don’t think I’ve ever been to a zoo, in France. The last one I went to, with the family, was in Antwerp and it wasn’t a happy experience, at the time. Maybe it’s different now? 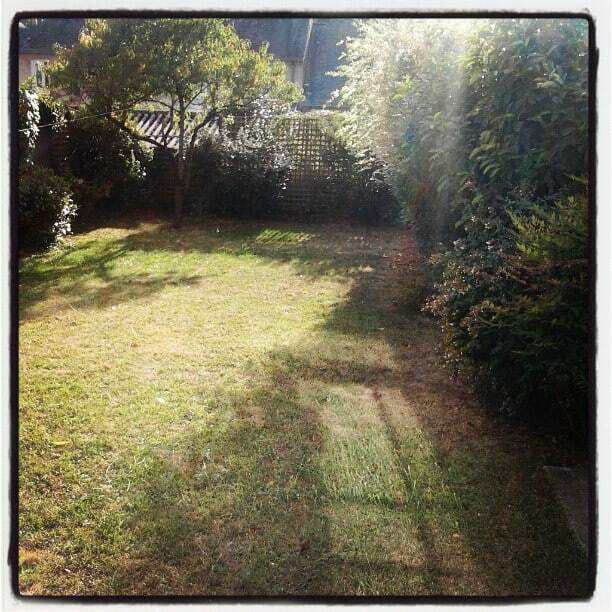 The Zoo de la Flèche looks much better and I love the idea of being able to stay there. However, I’m not sufficiently organised to be able to book that far ahead! !